Very Positive (256) - 84% of the 256 user reviews in the last 30 days are positive. Very Positive (27,869) - 93% of the 27,869 user reviews for this game are positive. Includes the Standard Edition, PLUS access to the Soundtrack and Artbook. I'd like to take a moment to introduce myself real quick: I'm Jonathan, a Community Manager at Paradox Interactive over simulation titles like Cities: Skylines and Surviving Mars. 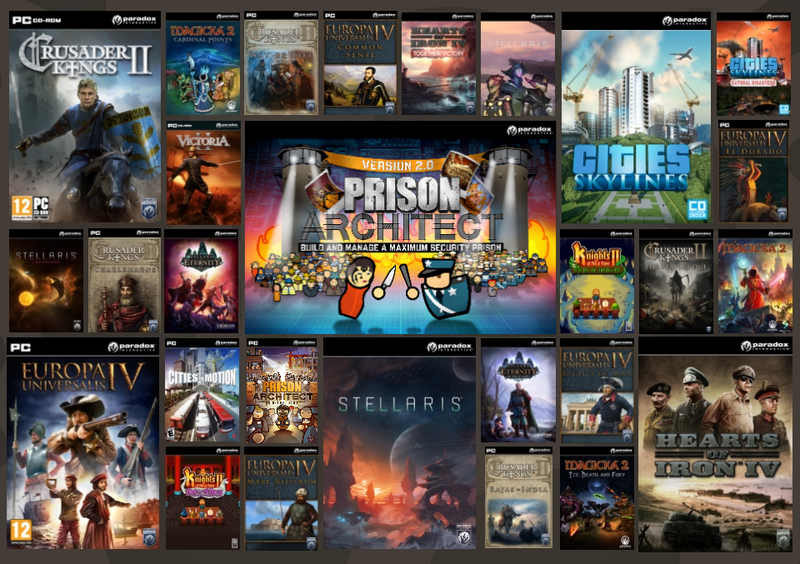 I'm here to announce that after a long and amazing partnership with Introversion, Prison Architect and the associated IP have been acquired by Paradox Interactive. This is something we are all very excited about, me especially! Paradox and Introversion have been working together since 2017 on the Prison Architect: Mobile titles, and mutually eager to see how we can expand and grow this amazing community. We realize you probably have some questions - like, "Prison Architect 2 confirmed?" or "Are you going to make a [Insert any noun here] Architect game now?" To this we reply: We have lots of ideas! Our team's are hard at work watching prison escape movies and are several seasons into the TV series Oz for inspiration, but at this time we have no concrete plans to share. We will be keeping you informed wherever we go though! Update 17 released - Multiplayer for everyone! After several months of testing and improving, we have released multiplayer to everyone - no need to opt in to the beta. Everything you can do in a single player sandbox game can now be done in Multiplayer. We've worked hard to reduce the bandwidth requirements and to increase the reliability - please let us know if you keep having problems! Worth mentioning that these game modes are not supported in multiplayer yet: Escape Mode, Warded Mode, and any prisons that require Mods. Thanks to everyone who supported us over the years - have a great xmas, and we will see you all in the new year! 1,236 Curators have reviewed this product. Click here to see them.